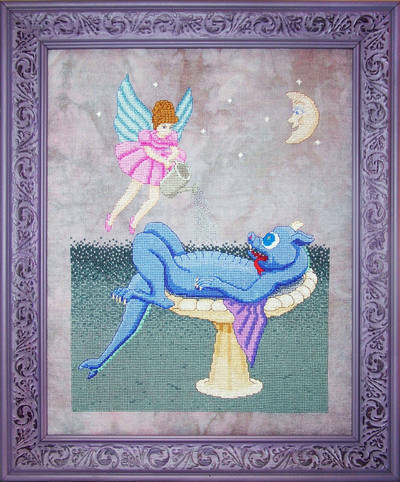 Bath Time - Dragons and Fairies cross stitch pattern... The young fairy is giving a dragon baby a bath in a bird bath by sprinkling the baby dragon with water from a watering can. The smiling moon is watching. Blending filament adds sparkle. Partial stitches are used.